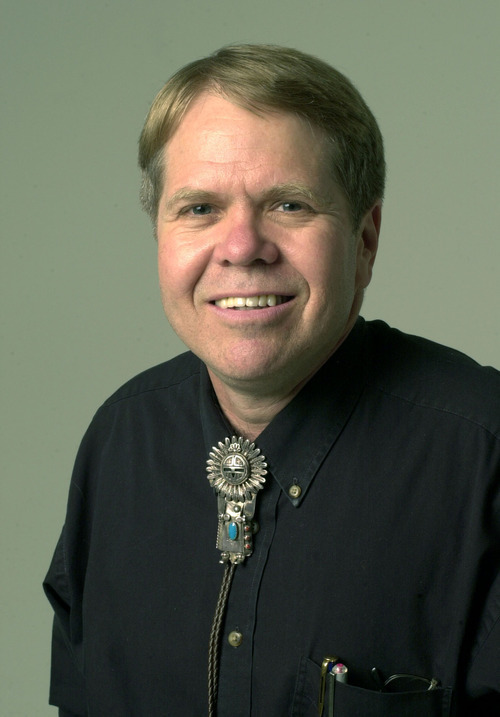 Tribune file photo Will Bagley will be at Ken Sanders Rare Boks Oct. 4 to present his new book "With Golden Visions Bright Before Utah author Terry Tempest Williams at home in Castle Valley. (Courtesy photo by Debra Anderson). Tribune file photo Will Bagley will be at Ken Sanders Rare Boks Oct. 4 to present his new book "With Golden Visions Bright Before Them," the second of four planned volumes in his "Overland West" series. Utah author Terry Tempest Williams at home in Castle Valley. (Courtesy photo by Debra Anderson). When summer folds its wings for fall, the local book scene takes full flight, as readers take this interior activity into the confines of home and heart. The Utah Humanities Council's Fifteenth Annual Book Festival is perhaps the key fixture of this book-loving season, but other events abound at Ken Sanders Rare Books, as Will Bagley unveils the next installment in his Overland West series, and Terry Tempest Williams prepares for a spotlight at the Sundance Resort Author Series. Oct. 2 • Janci Patterson, author of young-adult novel Chasing the Skip. Oct. 4 • Evening with Torrey House Press authors Maximillian Werner, author of Crooked Creek; Steven Peck, author of The Scholar of Moab; Barbara Richardson, author of Tributary; and Erica Olsen, author of Recapture. Oct. 6 • Bobbie Pyron, author of The Dog's of Winter; Joseph Hatch and Patrick Hearty, authors of The Pony Express Stations in Utah. Oct. 9 • Maggie Stiefvater, author of the Shiver trilogy of books, presents her new young-adult novel The Raven Boys. Nov. 13 • Ally Condie, author of Matched and sequel Crossed, presents the final book in her trilogy, Reached, at Rowland Hall St. Mark's, 843 Lincoln St., Salt Lake City. Info • 1511 S. 1500 East, Salt Lake City. For more information, call 801-484-9100 or visit http://www.kingsenglish.com. Most readings are free. Second and fourth Wednesdays, monthly • "Lit Knit," a gathering of craft-leaning readers who talk about what they're reading. Oct. 2 • Lance Olsen reads from his recent novel Architectures of Possibility. Oct. 3 • Blain Harden signs new book Escape From Camp. Oct. 5 • Joy Harjo reads and signs her book Crazy Brave. Oct. 6 • Taylor Mali reading and signing. Info • 607 Trolley Square, Salt Lake City. Call 801-328-2586 or visit http://www.samwellers.com for more information. Oct. 4 • Will Bagley reading and book signing for With Golden Visions Bright Before Them, the second of four volumes in his Overland West series. Oct. 5 • M. John Fayhee reads and signs his new book Smoke Signals: Wayward Journeys Through the Old Heart of the New West. Info • 268 S. 200 East, Salt Lake City. Call 801-521-3819 for more information, or visit online at http://www.kensanders.com; readings are free. Oct. 2, Oct. 23 and Nov. 15 • "Let's Talk About It: Making Sense of the American Civil War" reading series with Chris Case, Ted Moore and Tam Hoskisson and Marianne McKnight from Salt Lake Community College. Oct. 17 • Poets Peter Covino and Jacqueline Osherow read from their woks as part of the City Art Reading Series. Oct. 26 • "Haunted Library: Night of the Living Books" after-hours Halloween celebration. Oct. 27 • ARUP Blood Drive in conjunction with Charlaine Harris' vampire Sookie Stackhouse series as part of the Utah Humanities Council Book Festival. First Saturday of every month • "Dog Day Afternoons" R.E.A.D. event for children learning to read, in Children's Library. First Saturday of every month • "Mainly Reading Book Club" discussing the titles Daytripper by Fabio Moon and Gabriel Ba, Oct. 6; Charlaine Harris titles, Nov. 3; and Julie Otsuka's The Buddha in the Attic, Dec. 1. In Level 2. First Thursday of every month • "Books to Die For," discussing Enzo Macleod mysteries by Peter May, Oct. 4; Die For You by Lisa Unger, Nov. 1; and The Girl With Braided Hair by Margaret Coel, Dec. 6. In Lower Level. Info • Free. 210 E. 400 South, Salt Lake City. Call 801-524-8200 or visit http://www.slcpl.org. Oct. 1 • Cameron Wright, author of The Rent Collector, with documentary filmmakers Trevor Wright, Todd Smith and Jordan Augustine presenting "River of Victory," the film upon which Wright's book is based. Oct. 5 • American Indian poet Joy Harjo at Holmgren Historical Farm, Tremonton; Utah Book Awards winners announced. Oct. 6 • Taylor Mali, slam poet, education advocate and author of What Teachers Make. Oct. 10 • Thomas G. Andrews, author of Killing for Coal: America's Deadliest Labor War, and Erin Ann Thomas, author of Coal in Our Veins, at Price Library. Oct. 12 • Carlos Motta, artist, author and editor of We Who Feel Differently, at Utah Museum of Contemporary Art (UMOCA) as part of "Battleground States" exhibit. Oct. 12 • Mormon foodways expert Brock Cheney, author of Plain But Wholesome, at Snow College's Karen H. Huntsman Library, Ephraim. Oct. 16 • Angela Brown, author of Hideous Progeny: Disability, Eugenics, and Classic Horror Cinema with screening of Tod Browning's cult film "Freaks." Oct. 18 • Internationally acclaimed Chilean poet and human-rights activist Raul Zurita. Oct. 19 • Poet, novelist, essayist and playwright Ana Costillo at Utah Museum of Contemporary Art. Oct. 20 • Readings by winners of the Utah Book Awards. Oct. 20 • Thriller author Mark Sullivan presents his new book, Rogue; George Mason University religious studies professor John Turner and author Craig Foster present their book Brigham Young: Pioneer Prophet; Donna Poulton, art curator at Utah Museum of Fine Arts, presents her book Leconte Stewart: Masterworks; NPR commentator and nature writer Craig Childs presents his new book, Apocalyptic Planet; science writer David Quammen presents his new book Spillover: Animal Infections and the Next Human Pandemic. Dan Krokos presents his debut thriller, False Memory. Oct. 23 • Juan Pablo Villalobos, author of Down the Rabbit Hole, at Westminster College Gore Business School Auditorium. Oct. 27 • Children's author Jan Thomas, of Let's Count The Goats; Mark Sundeen, author of The Man Who Quit Money with Chris Suelo, subject of Sundeen's book. Oct. 27 • Charlaine Harris, author of Sookie Stackhouse vampire series and keynote speaker for the Utah Humanities Council's 15th Annual Book Festival; 5 p.m. at Salt Lake Main Library; 7 p.m. at Viridian Events Center in West Jordan. Info • All events are free and take place at the Salt Lake Main Library, 200 E. 400 South, Salt Lake City, unless noted. Other activities in Ogden, Brigham City, Cedar City, Logan, Morgan, Tremonton and St. George. Call 801-359-9670 for information, or visit http://www.utahhumities.org/BookFestival.htm for times and complete event schedule. Oct. 18 •Poets David Gewanter and Kim Young. Nov. 15 • Prose writer Anthony Doerr and poet Lisa Fay Coutley. Info • All Thursday readings are free and begin at 7 p.m. They are followed by author reception, at Finch Lane Gallery and Art Barn, 54 Finch Lane, Salt Lake City, unless noted. Call 801-596-5000 for information or visit http://www.slcgov.com/arts. 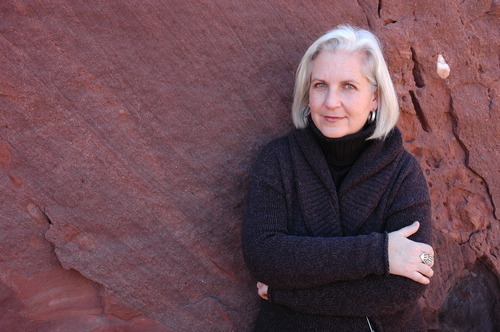 Nov. 3 • Terry Tempest Williams will discuss the question "What does it mean to have a voice?" posed by her most recent book, When Women Were Birds. Info • $75 includes the lecture and discussion, plus signed copy of author's book and brunch in the Tea Room, 8841 N. Alpine Loop Road, Sundance, Utah. Call 866-734-4428 or visit http://www.sundanceresort.com for more information. Oct. 19 • Westminster visiting writer, novelist, poet, essayist and playwright Ana Castillo, as part of the Utah Humanities Council's Book Festival. Oct. 23 • Fiction writer Juan Pablo Villalobos, author of Down the Rabbit Hole, as part of the Utah Humanities Council's Book Festival. Nov. 5 • Poet Cyrus Cassells. Nov. 16 • Topside Press presents West Coast debut of The Collection: Short Fiction from the Transgender Vanguard. With 12 books to her name, Terry Tempest Williams is duly acknowledged and respected as an established literary figure of the American West. She's also a rigorous and thorough miner of metaphors as her recent, 13th title demonstrates. When Women Were Birds has its origins in the weeks after her mother's 1987 death, when Williams scoured every page of her mother Diane's three shelves of journals to find them empty of words. The discovery vexed Williams for years, but also fermented over time into the realization that, even for writers, silences mold our spirits as inevitably as sound, absence can carry all the power of presence and, most of all, sometimes a quiet voice carries further than a powerful one. Williams' meditation on the meaning and power of voice makes When Women Were Birds perhaps her most philosophical work, for lack of a better word. And as in philosophical works, the questions it prompts are often more important than the answers. "What does it mean to have a voice?" will be the call and response offered at Williams' upcoming speaking engagement at the Sundance Author Series. The Sundance Resort's author readings, for those familiar with them, aren't the standard read-and-sign, but full-fledged affairs of engaging exchange, brunch and the bonus of a signed book. Will Bagley's considerable gifts for historic narrative jolted new debate with the 2002 publication of his book Blood of the Prophets: Brigham Young and the Massacre at Mountain Meadows. So it was a surprise move of sorts when Utah's premier historical writer turned his attention to the grand sweep of our nation's westward migration with a planned four-part series, Overland West: The Story of the Oregon and California Trials. As usual, Bagley delivers hard truths in shimmering prose, lifting the veil of romance that surrounds so much of the American West. It's no secret that those who packed up their life's belongings for a new shot at life on the frontier suffered and struggled, but Bagley reveals it all through meticulous research that gives it depth and meaning. The first installment, So Rugged and Mountainous: Blazing Trails to Oregon and California, 1812-1848, won the 2011 Western Heritage Award. This week, Bagley will unveil his second, With Golden Visions Bright Before Them: Trails to the Mining West, 1849-1852. For anyone with a sweet tooth for history and the westward migration, this reading and signing promises plenty of kid-in-the-candy-store moments. When • Oct. 4, 7 p.m.
Info • Free. Call 801-521-3819 or visit http://www.kensandersbooks.com for more information.